Palm Beach International Raceway (PBIR) has been added to the 2017 Summit Sportsman National Championship schedule. PBIR will replace Bradenton as the second stop of the new sportsman class racing series and will remain on the original date of February 10-12, 2017. The new series will begin February 3-5 at Immokalee Regional Raceway and feature 15 double race weekends for International Hot Rod Association (IHRA) class racers. 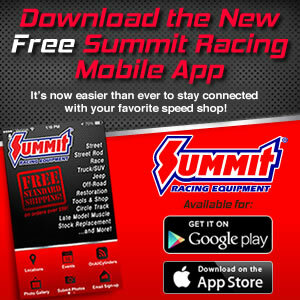 For a complete Summit Sportsman National Championship schedule, click HERE. For a complete breakdown of the new program, click HERE.